The chipset maker announced the three winners of its hardware design challenge today. Here’s who won the $100,000 prize. Chipset maker Qualcomm has announced the winners of its Design in India Challenge (QDIC). The first edition of the challenge was announced back in 2015, with entries from 400 participants. The same were shortlisted to 23 and then the final 10. Today, Qualcomm has finally revealed the winners of this hardware challenge. The three tech startups that won QDIC and a funding of $100,000 each are - Carnot Technologies, iFuture Robotics and Uncanny Vision. 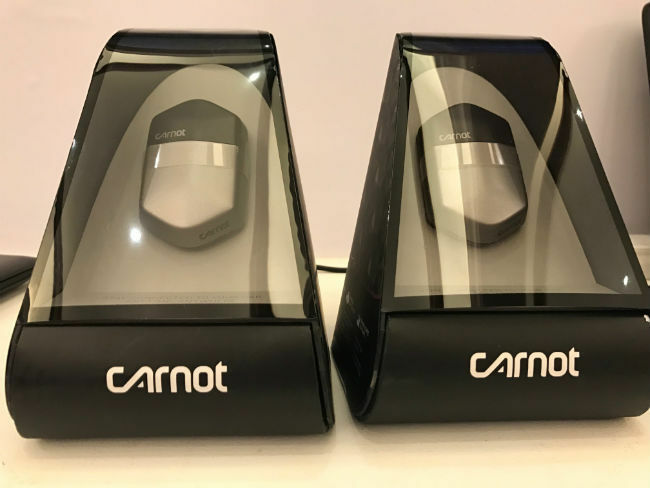 Carnot Technologies makes Carnot, an IOT device that connects a car or a bike to the users’ phone and monitors the safety of their vehicles. Users get alerts if their vehicle is being towed or stolen. The device also provides automated instant alerts to emergency contacts in case of an accident. Other features include, measure mileage and vehicle analytics. Bikers get some added advantage with the ability to share road trip details on social media and indication of crowd sourced points of interests, like good places for tea, etc. For cars, the device will be available for purchase sometime next month and will cost Rs 6,000 approximately. Carnot for bikes will follow in the coming months and will cost Rs 2,500 approximately. Another winner of Qualcomm’s Design in India challenge is iFuture Robotics. iFuture specialises in making autonomous robots for known environments. 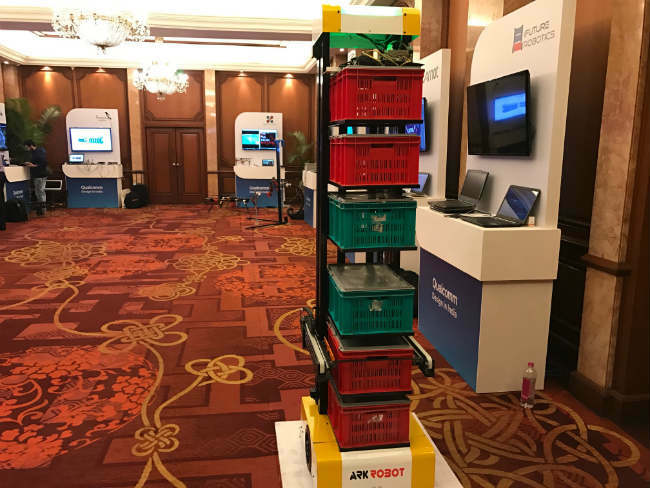 The Ark Robot provides storage and retrieval systems to Industry segments such as e-commerce, automotive and logistics. Ark Robot is a 3 DOF industrial robot, driven by motors and 2 axis arms with grippers. It can move inventories within a known environment as quickly as a human worker, or so claims the startup. This is combined with data analytics and computing, to deliver more efficiency. Lastly, Uncanny Vision, makes for the third startup in QDIC to win the coveted $100,000 prize. Uncanny’s product is an Intelligent Surveillance Camera that will consist of the following key technologies: Deep Learning-based CNN/RNN models for Scene Recognition, Anomaly Detection, Face Recognition and Human Pose Detection. 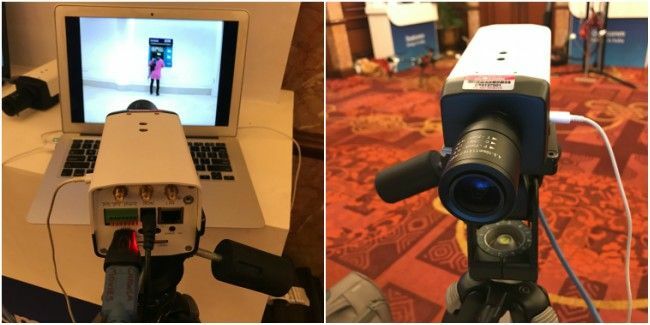 The startup used Qualcomm’s Snapdragon IP Camera reference design and the Snapdragon 620 chipset for the project. “Qualcomm Design in India Challenge is one of the most successful initiatives by Qualcomm to nurture some of the talented startups in India. After seeing the overpowering response during the 2016 edition, we decided to go ahead with a second year,” said Jim Cathey, Senior Vice President and President, Asia Pacific and India, Qualcomm. 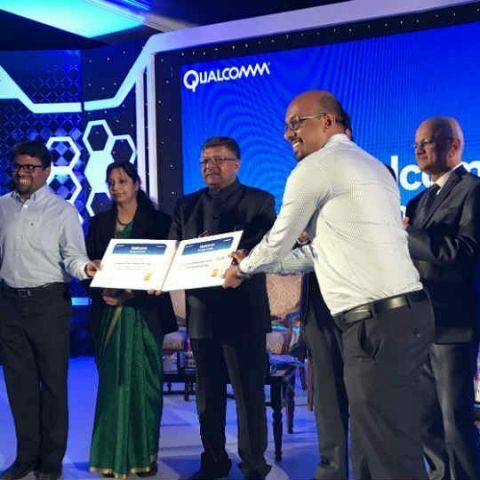 Union Minister for Electronics and IT, Ravi Shankar Prasad was also present at the event to felicitate the winners of Qualcomm's design challenge. "Yes India is indeed at the cusp of a big digital revolution. We are inventing technology in india not only for india but we are showcasing the developing world as to how. By proper application of technology we can make a mark for others to follow. India today is home to 1.08 bn mobile phones. India today is home to 1.10 bn Aadhar physical verifiable identity. India today is home to almost 500 mn internet, wireless and landline included. And, one of the most enterprising, growing startup industry. I am very happy that Qualcomm has taken this initiative. I am very happy 600,000 engineers are working for Qualcomm in india in the field of chip technology. It shows indians’ desire to imbibe new areas in technological innovation," said the minister. Along with the winners of the first ever Qualcomm Design in India Challenge, the chipmaker also announced an investment of $8.5 million to expand the QDIC initiative in India, which will henceforth be called Qualcomm Design in India Program. The second leg of the challenge aims to support companies in the areas of rural technology, biometric devices, payment terminals, agricultural technologies, medical tech and smart infrastructure. This time around, Qualcomm will pick and incubate 16 finalists instead of 10. In addition, Qualcomm announced the launch of a new innovation lab in Hyderabad. The chipset maker is already running a similar lab in Bengaluru, where the 10 finalists of its hardware challenge were incubated for the past year. The new lab at Hyderabad aims to provide advanced camera, audio and RF solutions to enable India’s mobile and IoT vendors. Encouraging the move, the IT minister also requested that the chipset maker focus on areas of rural health and rural education. He also highlighted the need for a chip that can be integral to Aadhar. Prasad insisted that Qualcomm make efforts towards developing such a chip.